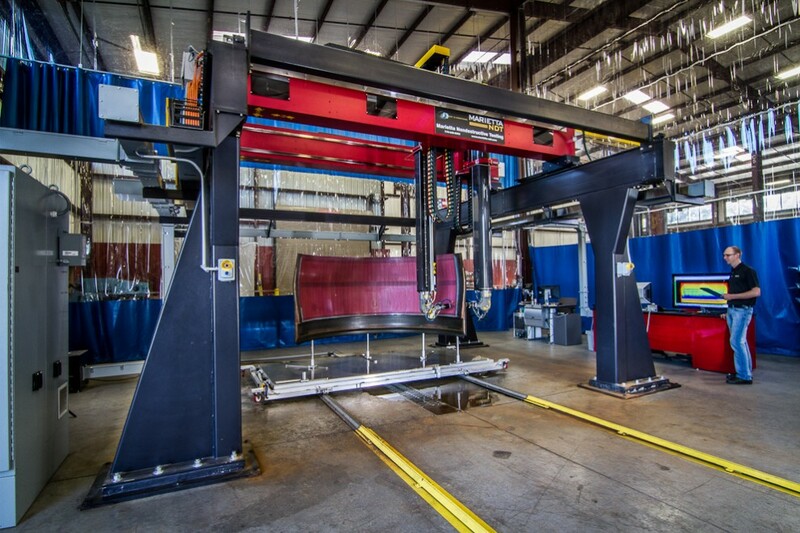 AG-2 is a full featured, contour following 10-Axis Overhead Gantry Scanner designed for scanning complex cored and solid laminate components. It consists of a steel frame support structure, two X-axis scanning bridges, two Y-axis carriages, two Z-axis vertical columns, and two gimbal/swivel assemblies. 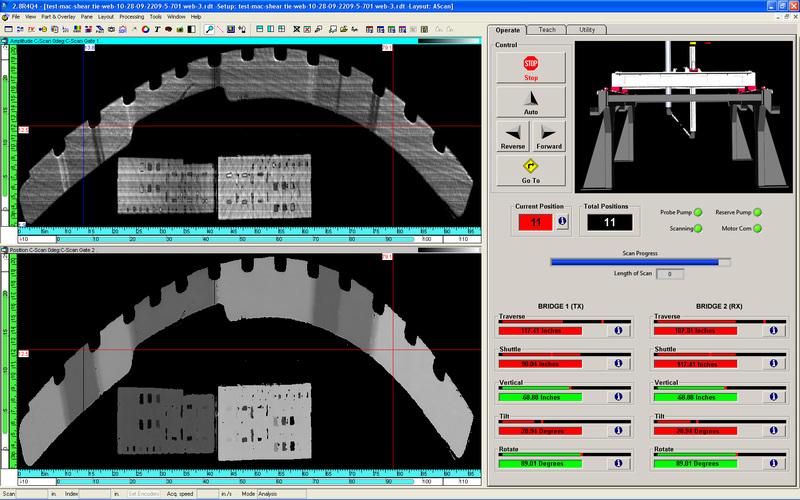 AG-2 includes all ultrasonic equipment, acquisition and analysis software, and water system. All motor and encoders are fully compatible with Marietta NDT InMotion motion control software with full contour following capability.